Selecta Systems renaissance continues, as do the accolades, with Selecta being voted PVC Company 2018 at the National Fenestration Awards. 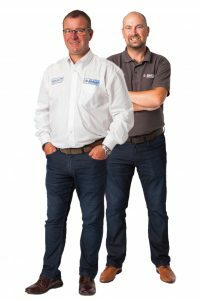 Sales Director, Andy Green, and Marketing Manager, Mark Walker, who have over 50 years of loyal service between them at Selecta, open up about the recent awards and recognitions, whilst giving an insight to their resurgence. “Firstly, we are absolutely delighted to be voted PVC Company 2018 and would like to thank everyone who nominated and voted for ourselves in this highly competitive category. This award really does mean a lot to everyone at Selecta and follows up on being voted Systems Company at the 2017 awards. The great thing about the NFA’s is that all the awards are nominated by and voted for by your industry peers, which for me, there is no greater recognition than from those that work in the industry, day in day out, so thank you again. The award also epitomises and recognises the amount of hard work that the team have put in to, not only being nominated finalists in five categories, but also going on to win this accolade. It’s been another flourishing and successful year for Selecta, as the company continues to go from strength-to-strength” said Andy. Selecta’s and the Advance 70 Window and Door Systems popularity have grown considerably over the last couple of years, with the NFA awards endorsing this positive swing in market perception. Selecta Systems will certainly start 2019 with further optimism and enthusiasm as they look to build further on their recent recognitions and record profile conversions. Selecta and the Advance 70 Window and Door System continue to be one of the industry’s biggest success stories of the last two years.